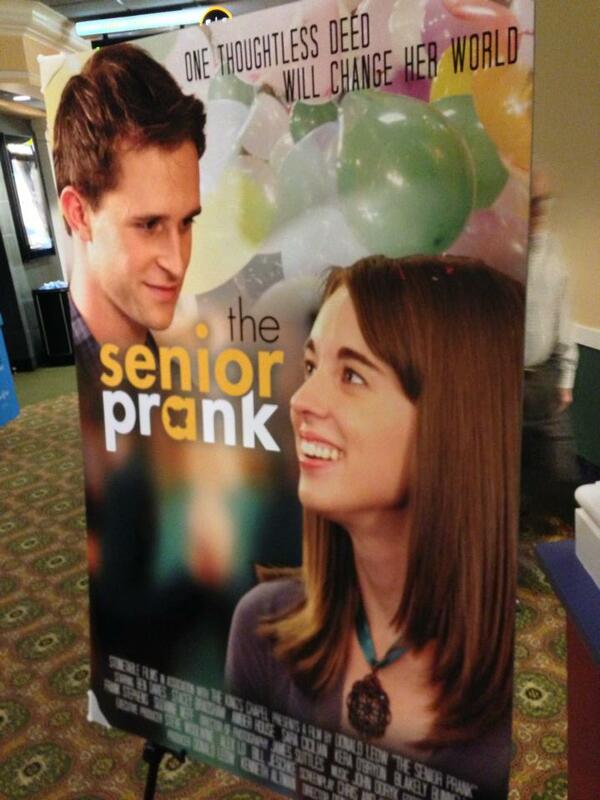 On June 13, The Senior Prank was screened at the Rave theater at Fairfax Corner. This feature-length, faith-based film was produced by Stone Table Films in association with The King’s Chapel in Fairfax, Virginia. It was directed by Donald Leow, written by Katherine and Chris Craddock, and stars Stacey Bradshaw and Josh Murray — all members of NoVA Christian Film. The Senior Prank is an anti-bullying feature film about a group of popular high school students who elect a girl with Down Syndrome to be their Homecoming Queen — as a senior prank. The screening was sponsored by Word of Life Christian Academy in Springfield, Virginia and featured several guests and speakers from the school. Check out the trailer below and stay tuned to NoVA Christian Film for more announcements of future screenings of The Senior Prank and other Christian films in the area.